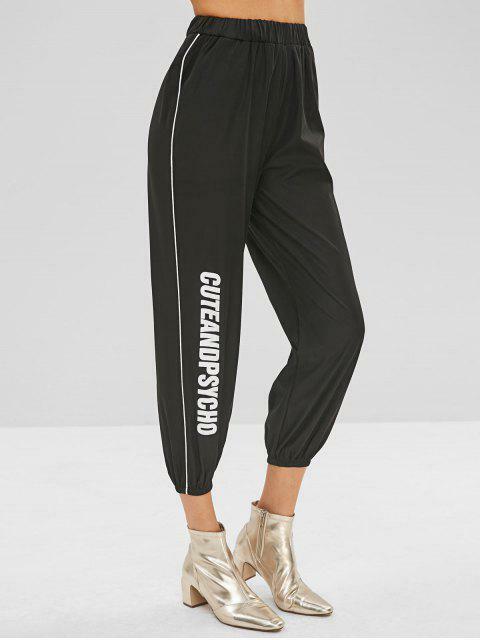 [43% OFF] 2019 Cuteandpsycho Graphic Jogger Pants In BLACK | ZAFUL .. 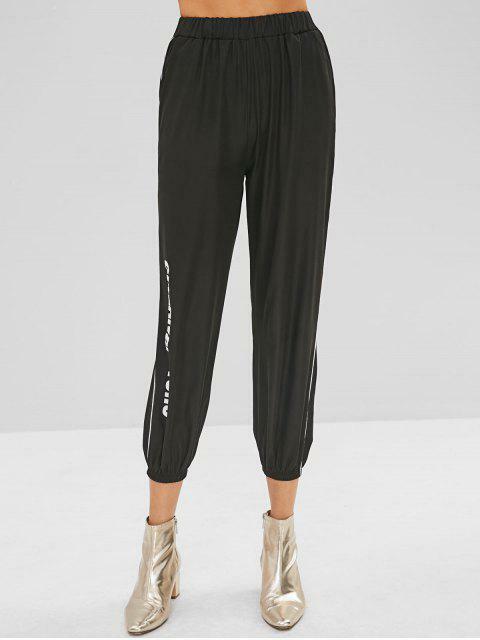 These jogger pants are the ultra-chic bottoms which are easy to achieve a hot athleisure style with some casual tucked-in tops and sneakers. 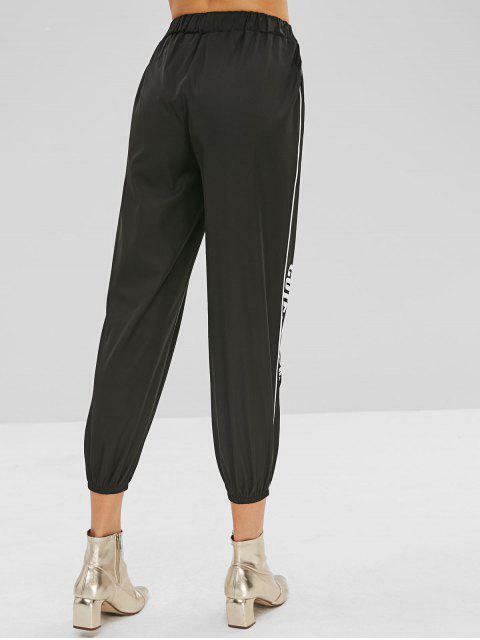 The lettering graphic on the front and the contrasting piping design at both sides adds a polished edgy look to the plain silhouette.